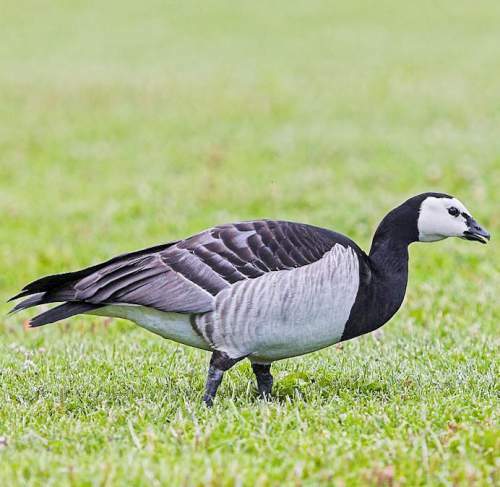 The barnacle goose (Branta leucopsis) belongs to the family Anatidae under the order Anseriformes. 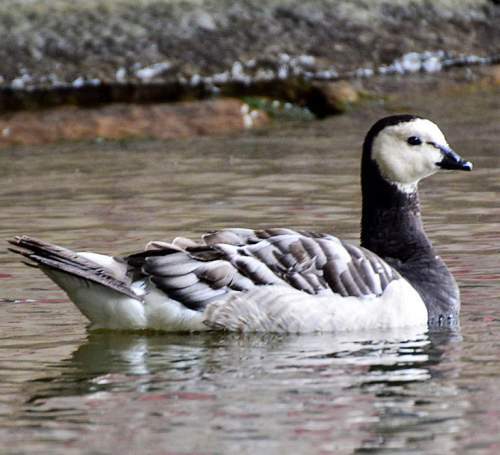 The Anatidae is the family of ducks, geese and swans. 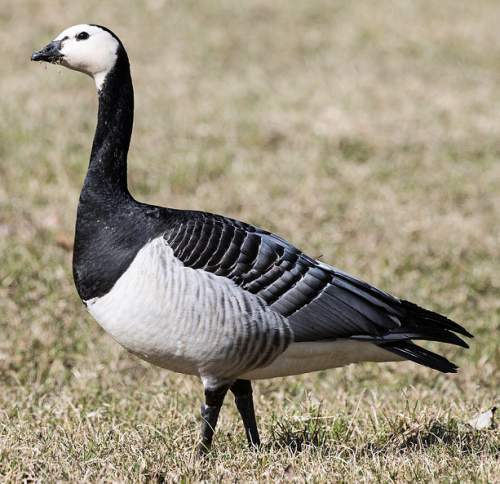 The family Anatidae was introduced by William Elford Leach, MD, FRS (2 February 1791 – 25 August 1836), an English zoologist and marine biologist, in the year 1820. 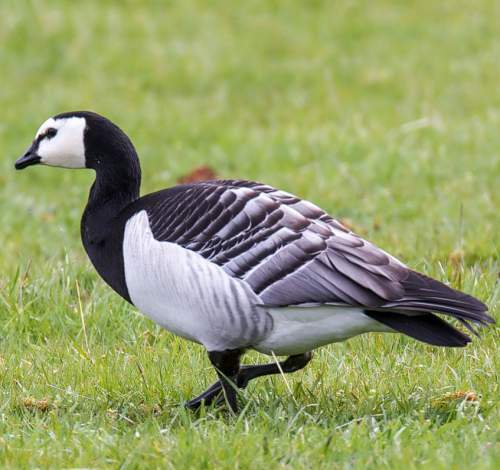 The family Anatidae comprises around 146 species in 43 genera, including Branta. 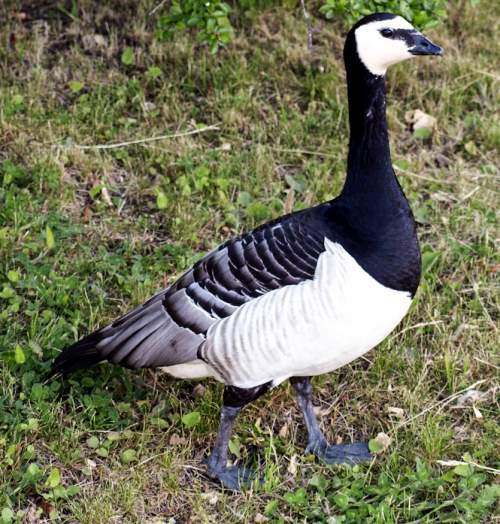 The genus Branta was first described by Giovanni Antonio Scopoli (3 June 1723 – 8 May 1788), an Italian physician and naturalist, in the year 1769. The genus Branta is polytypic and comprises six species, viz., Branta bernicla, Branta canadensis, Branta hutchinsii, Branta leucopsis, Branta ruficollis and Branta sandvicensis. 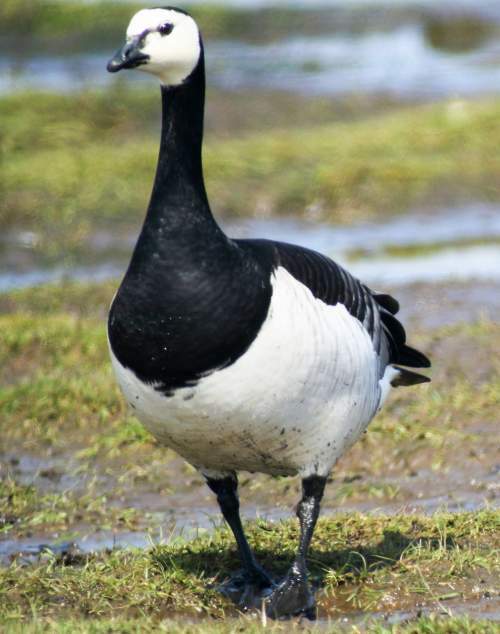 The species Branta leucopsis was first described by Johann Matthäus Bechstein (11 July 1757 – 23 February 1822), a German naturalist, forester, ornithologist, entomologist and herpetologist, in the year 1803. The species Branta leucopsis is monotypic. 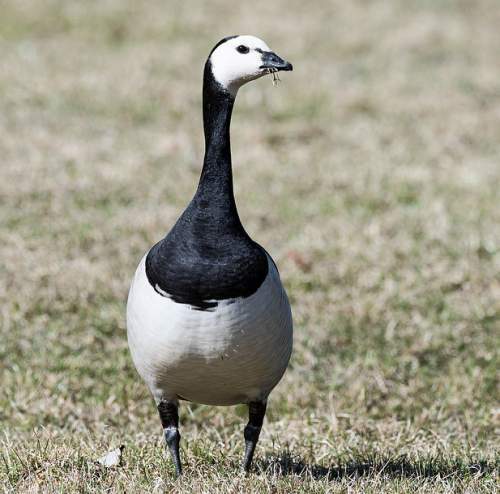 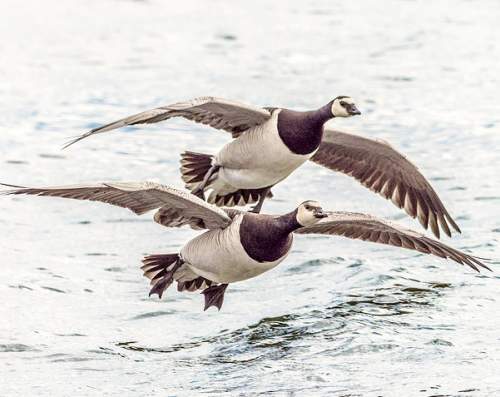 Current topic on Birds of North America: Barnacle goose - Branta leucopsis images.